Holly Rhodes creates brilliant COLOR & JOY when she paints! Meet this extraordinarily gifted, happy artist … and watch her paint under our tent at Art in the Park on Saturday, March 21, 2015. You’ll be happy you did! 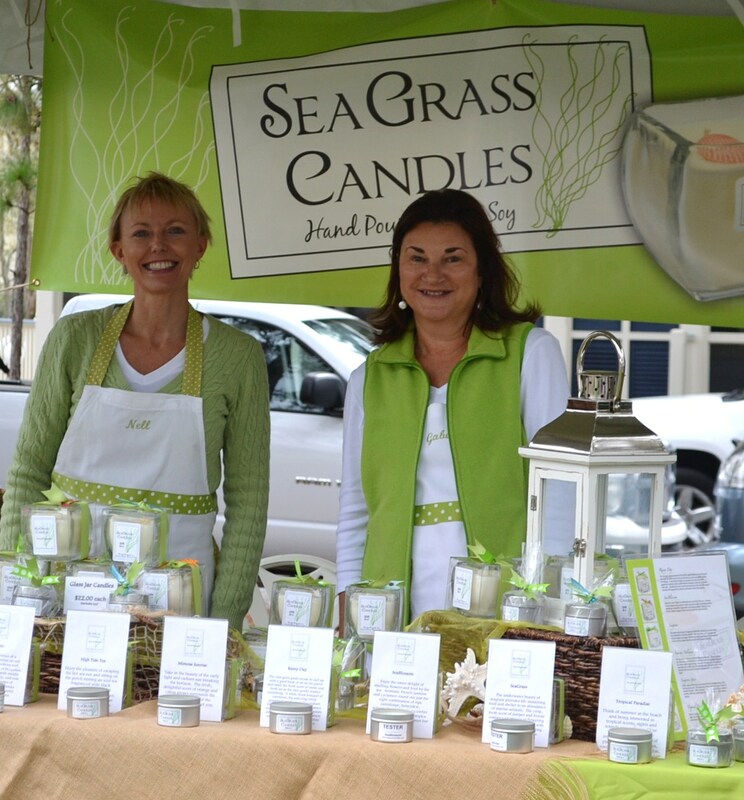 Locally made by Nell & Gabe, each SeaGrass candle is hand-poured with delightful packaging, and has a seashell that is hand-selected from the beautiful Gulf of Mexico. As the candle melts, the shell floats visibly just beneath the “waters” of the liquid wax. 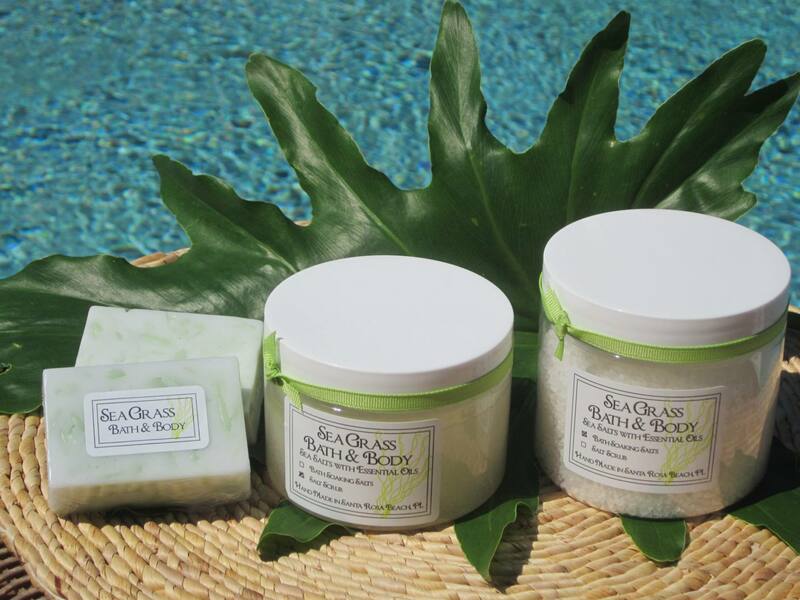 New to their line are luxurious Bath & Body products made with essential oils … beautifully scented bath soaps, soaking salts and body scrubs. Ho! Ho! Ho! We have something for every person on your holiday shopping list! Shop at the happiest gallery on 30A and see why we’re known for “Art & Gifts with Heart”. The gallery is open 7-days a week from 10am – 5pm. We will be closed Christmas Day. 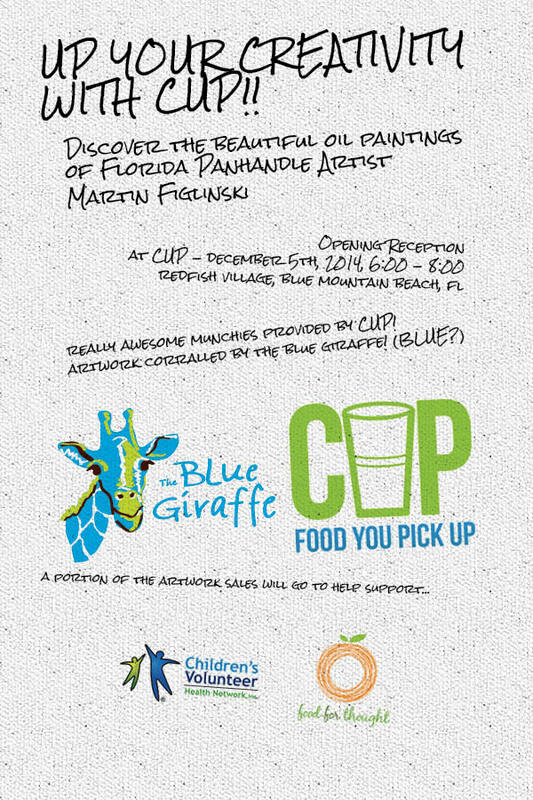 Fine art by Martin Figlinski will be on display at CUP during the month of December 2014. An opening reception will be held Friday, 12/5/14 from 6pm – 8pm, with really awesome munchies provided by CUP Food You Pick Up. A portion of the artwork sales will go to help support Children’s Volunteer Health Network and Food for Thought, two very worthwhile local organizations. CUP is located in Redfish Village – Blue Mountain Beach – 2050 West Co Hwy 30A. Scroll down to see a few of Martin’s beautiful oil paintings! Please visit us for Small Business Saturday, the day we all Shop Small and support small businesses around the country. Don’t forget to register your American Express card prior to shopping in order to receive your statement credit. Visit Shop Small for details and to register. So stop by on November 29th, the Saturday after Thanksgiving, and do your part to help make this Small Business Saturday one of the biggest shopping days of the year for small businesses. See you soon … THANK YOU from The Blue Giraffe Team! !